Join Lamborghini Club America ‘Annual VIP’ through September 30, 2017 and receive a FREE Lamborghini Pilota Ufficiale Backpack, $150 value! Standard LCA policies apply. Applies to first time LCA members only. Must be 18 years of age with valid I.D. Some restrictions may apply. 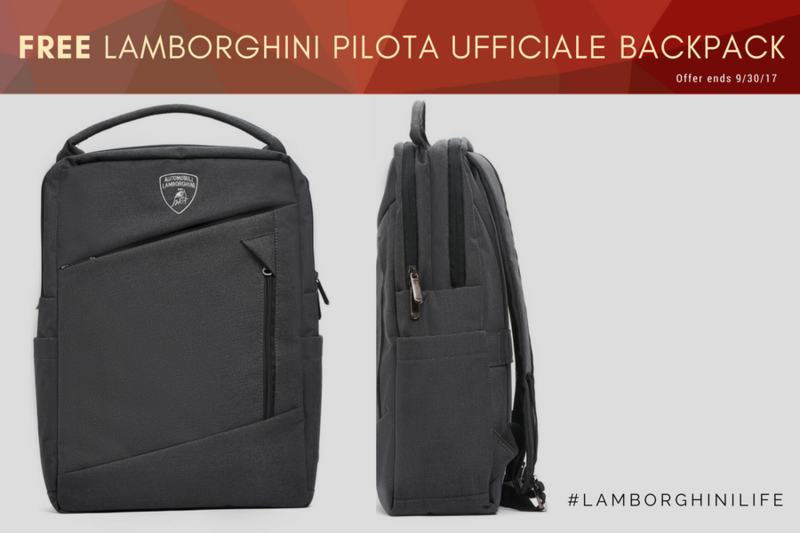 The Automobili Lamborghini Pilota Ufficiale backpack is the perfect accessory for the real sports people who want to look smart. Featuring two large and two smaller pockets on the front, it is distinguished by the use of the space and can be used on many occasions. The Automobili Lamborghini shield patch on the top front adds an unmistakable touch to this accessory. 100% polyester. Join today and be a part of the Legendary #LamborghiniLIFE.